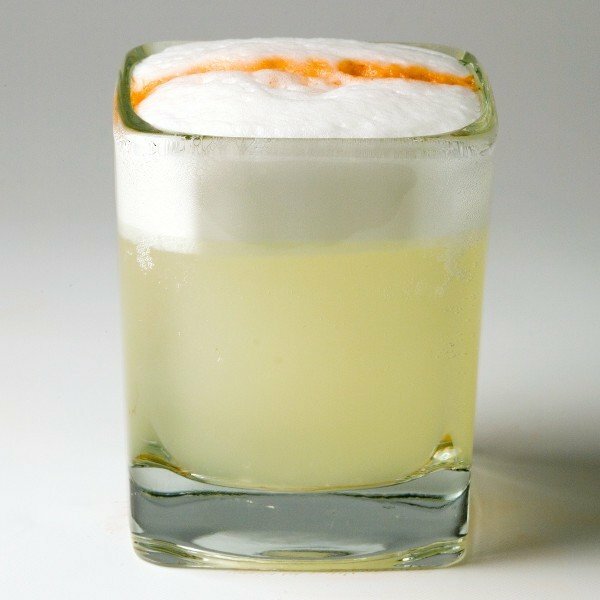 In honor of World Pisco Sour Day, SUSHISAMBA (a New York restaurant) has shared with me their recipe for the all-time Peruvian favorite cocktail, the Pisco Sour. This is basically the classic recipe, but they double shake it and double strain it to ensure a really silky texture with the egg white. This drink recipe evolved over many years, and the final touches which cemented its popularity in Peru were the addition of egg white and Angostura bitters. Pisco is a brandy with fruity notes which vary a little from brand to brand. It’s smooth and delicious enough to enjoy straight up. The lemon juice adds tartness, and the simple syrup counteracts the tartness somewhat. The egg whites enhance the texture and mellow out any rough edges in the flavors, and the Angostura bitters add a touch of bitter spiciness that brings out the sweet notes more. It’s a cocktail you might easily fall in love with, so be forewarned. Pour the lemon juice, simple syrup, egg white and Pisco into an empty shaker with no ice, and shake. Now add several cubes of ice and reshake. Put a strainer over a rocks glass and strain the mixture through it (and the shaker’s built in strainer – this is “double straining”) into your glass. Sprinkle the Angostura bitters over the egg foam on top.